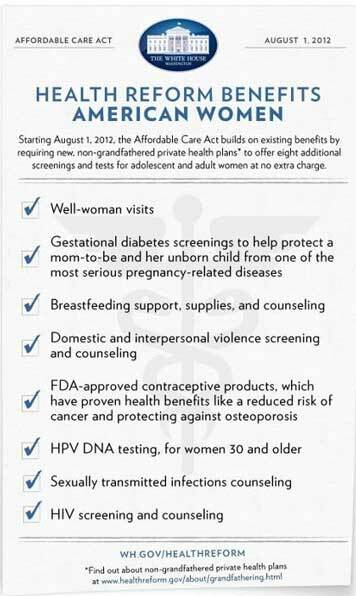 And, #6 was Romney mentioning Obamacare, #7 was the Big Bird incident. 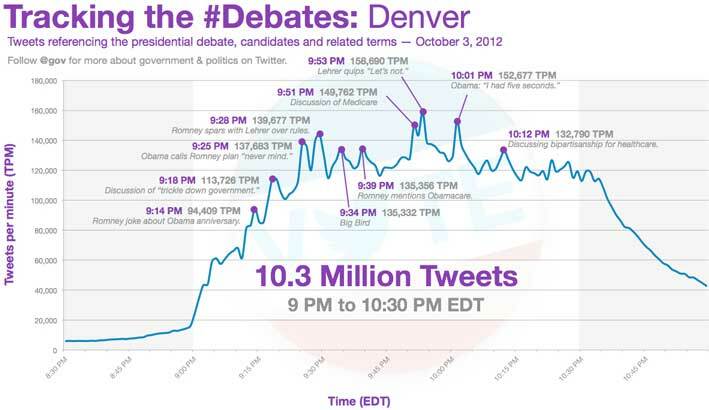 This was the most tweeted about political event in history, and there are more three debates. The Vice Presidential debate is next Thursday, October 11, 2012. If this interests you the Harvard Kennedy School has a pre-debate “Politics as Theater” discussion with Aaron Sorkin, Chuck Todd, Kathleen Hall Jamieson, and Alan K. Simpson. Watch the video on Live Stream. In every election the presidential candidates are forced to make a bold statement, one way or the other, on the environment. And since this blog is focused on sustainability their positions are an important topic. Here are three of them – climate change, renewable energy, and the EPA – from the Yale School of Forestry and Environmental Studies. I apologize for the strong Democratic Party bias in this piece, but the Republican Party has yet to embrace sustainability. There are glimpses of it from Mitt Romney, but he is backing away from many of those. And honestly, we need the Republican Party to adopt sustainable ideas to make real progress in this country. Supports international efforts to forge a climate change agreement. Enacted regulations to double the fuel efficiency of vehicles by 2025. Directed the federal government to reduce emissions from its buildings and vehicles by 28 percent by 2020. Wary of international climate negotiations. Opposes Obama’s new fuel efficiency standards as extreme. Believes climate change is happening but not due to human efforts. Invested billions in energy efficiency and renewable energy. Set ambitious clean energy goals, vowing that 80 percent will come from renewable sources by 2035. Supported legislation, now set to expire, that extends production tax credits to the wind industry. Opposes extending the tax credit for the wind industry and has vowed to end federal subsidies for renewable energy projects. Supports nuclear, coal, oil, and gas in equal amounts to solar and wind. As governor of Massachusetts, supported renewable energy authorizing the investment of $24 million. Empowered the EPA to draft stricter CO2 emissions standards for power plants. Supports proposed EPA regulations limiting emissions of mercury and other toxics from power plants. Supports continued federal regulation of oil and gas drilling on federal lands. Opposes EPA regulating carbon dioxide emissions. Says the states, not the federal government, should exercise control over oil and gas drilling on onshore federal lands. Has called for fewer regulations on the nuclear power industry to help revive it. It is a nonpartisan collection of stories and artifacts on all 47 vice presidents – the only museum in the land devoted to the nation’s second-highest office. This neglect might seem surprising, until you tour the museum and learn just how ignored and reviled the vice presidency has been for most of its history. John Nance Garner, for one, said the job wasn’t worth a bucket of warm spit. Humor is laced throughout the piece, but not because of the author – because Vice Presidents have been so ridiculed. Some deservedly so – like the drunken gambler who had congress dock his pay – and some not so, like the small-town lawyer who was nearly president during World War I, when Woodrow Wilson had a series of strokes. A fun read – The Vice Presidents That History Forgot. With the 2012 election less than 100 days away — 98 days, to be exact — Team Obama is giving its supporters, volunteers and voters a digital push. The president’s campaign and the Democratic Party have launched Obama for America, a mobile app that packs election information, grassroots organizational tools, campaign news and more into a single package. Instead of developing another photo-sharing app with ready-made templates, the Obama campaign has opted to create a much more focused get-out-the-vote tool. Keep in mind, however, that the app is tailored toward people who already support the 44th U.S. president. This is most decidedly not a non-partisan effort.